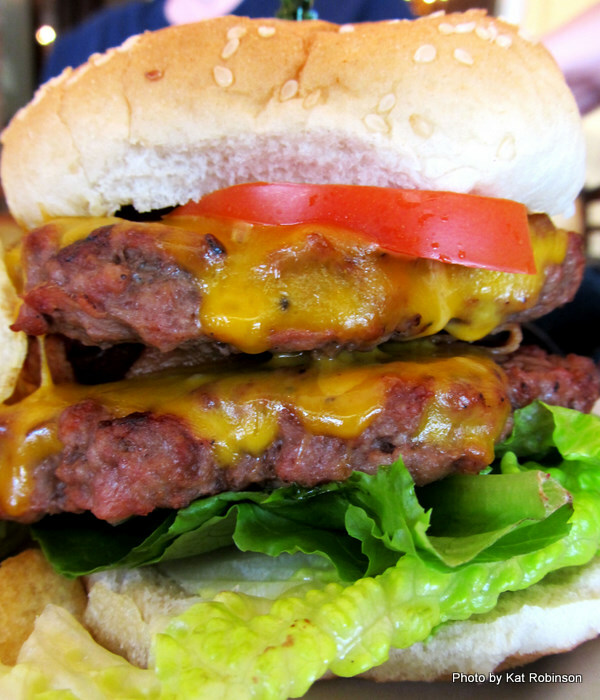 I eat a LOT of burgers. I write about them, too. 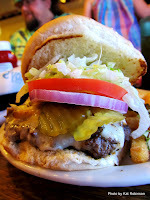 I feature one each week in my Burger Joint of the Week piece for Eat Arkansas, the Arkansas Times blog for food lovers. 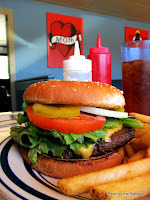 I write about burgers inside and outside of Arkansas for Serious Eats: A Hamburger Today. And in general, I just like burgers. They are the quintessential American sandwich. With the coming new year, and with everyone and their dogs doing these big end of the year wrap-up stories, I thought I’d do one of my own. Now, mind you, this doesn’t include all the burgers I had BEFORE this year, or any of the burgers I ate out of state. 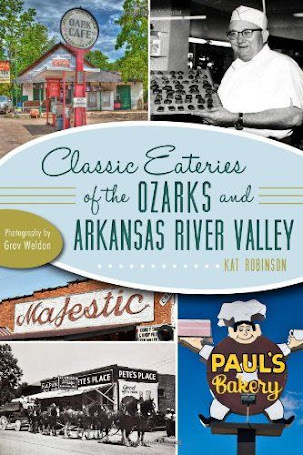 So if you’re lamenting the lack of places like CJ’s Butcher Boy Burgers, Feltner’s Whatta-Burger or Burge’s on my list, stop fretting. I still love those burgers, too. 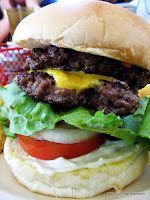 So here you go, the 50 best burgers I tried in 2011. Enjoy! 50. Thirst N Howl. 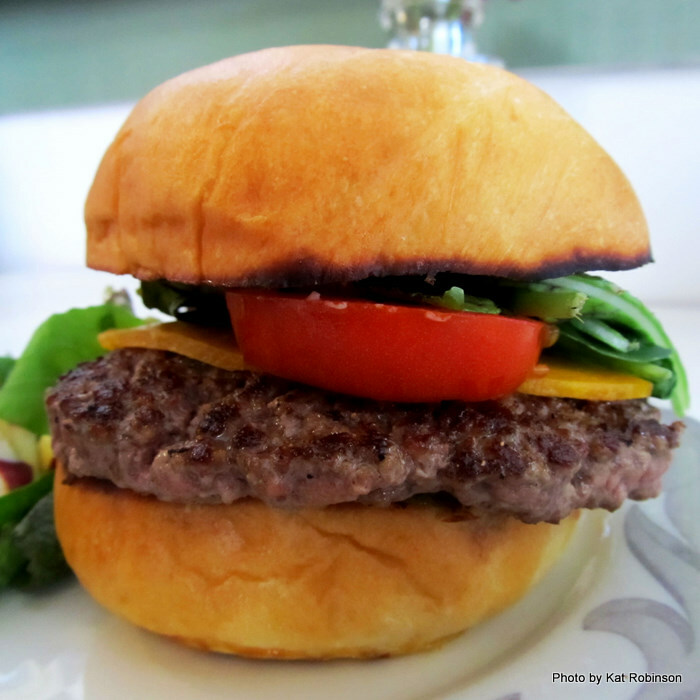 The half pound Skipper Burger’s saving grace is the stoneground mustard that accompanies the griddle-fried beef and plethora of vegetation between its yellow seedless buns. The fire-roasted ketchup on the Thirst N Burger is even better. 49. Ed & Kay’s. It’s a burger that doesn’t look like a burger! 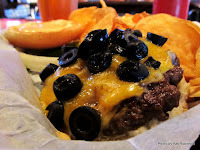 The Pony Burger is a half pound patty on a bun smothered in French fries onions and nacho cheese sauce. So totally wrong, but so totally right at the same time. If you eat it all at once, you’re a real glutton. 48. Bayou Bistro. Crawfish? On a cheeseburger? 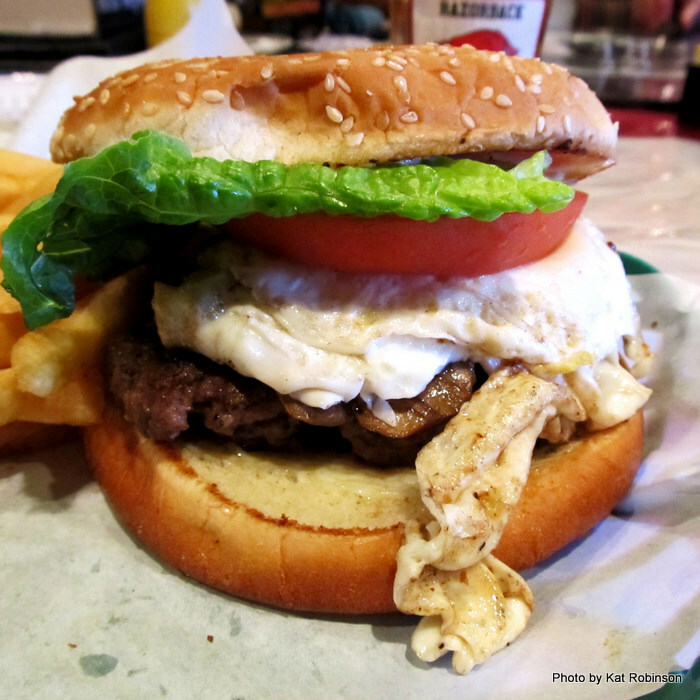 Yes indeed, the Cajun Burger at the new Italian/Creole fusion place in El Dorado comes dressed in Mozzarella cheese and crawfish sauce. And dang if it isn’t tasty on its ciabatta-type bun. 47. Starlite Diner. 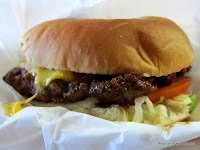 Alas, the one burger on this virtual menu that’s no longer available, the buttered bun griddle fried classic Original was worthy of a stop-in at the Streamliner on MacArthur. Today, Hunka Pie has taken over the space with its own unique, remarkable burgers. 46. Chopping Block. 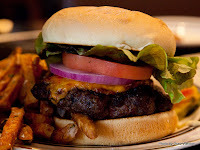 A big fat onion-and-pepper seasoned steakhouse burger on a toasted sourdough bun served up with handcut fries, this cooked-over-open-flame Mena burger is memorable. The Blue Cheese and Bacon version is apparently even more so. 45. Boss BBQ. 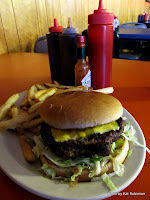 While the Boss Burger offered at this Benton barbecue joint isn’t really a burger (it lacks a patty), the regular Jumbo Cheeseburger quite qualifies: a smoke and salt flavored burger that’s a little heavy on the seasoning and which requires both fists to negotiate properly to the mouth. 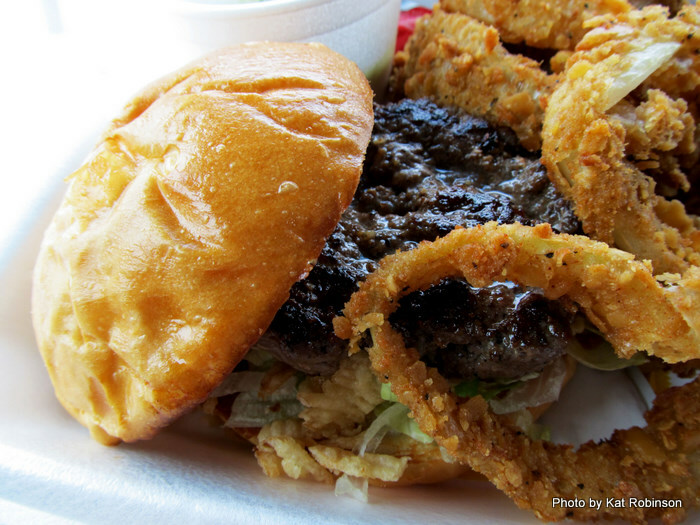 The jalapeno onion rings should be your side order of choice. 44. Red Door. 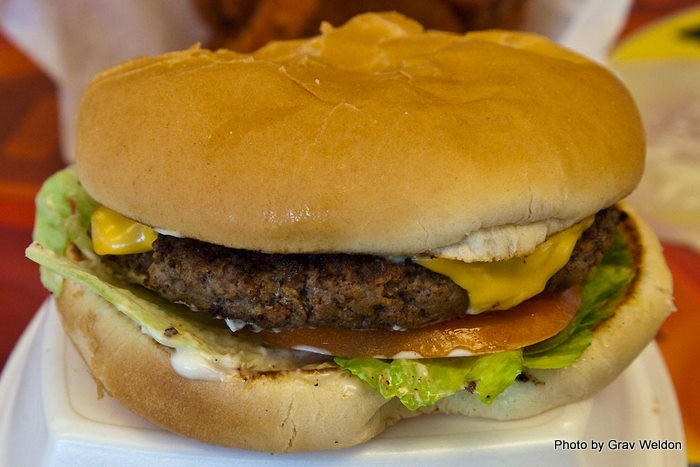 The Really Good Burger at this Old Cantrell Road stop is far more impressive in taste than appearance. This double-stacked small-patty burger served up on a Mama’s Manna bun comes char grilled to medium or more done, no less, but with such tight small patties there’s really no way to get a rare without being raw. 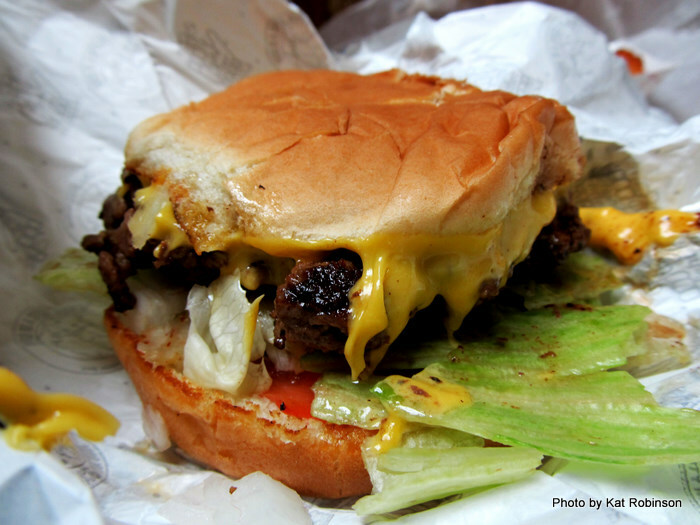 Still, the texture of this burger is amazing. 43. Dairy Shack. 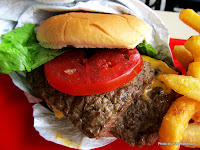 Waldenburg’s lunch stop, how about a great American classic for lunch? The cheap side of Josie’s, Dairy Shack serves up great juicy burgers wrapped in wax paper with crinkle-cut fries on the side. Cheap and fulfilling. 42. Stoby’s. 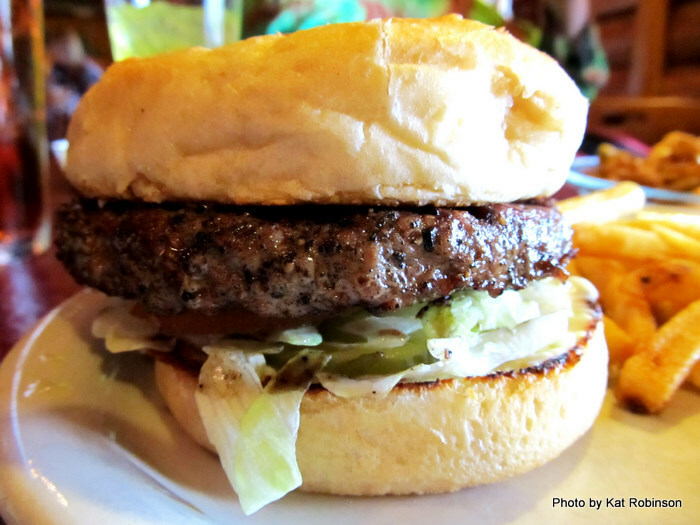 Ah, what Stoby’s does for a burger… the Hickory Burger with its sauce and bacon is good enough for most. 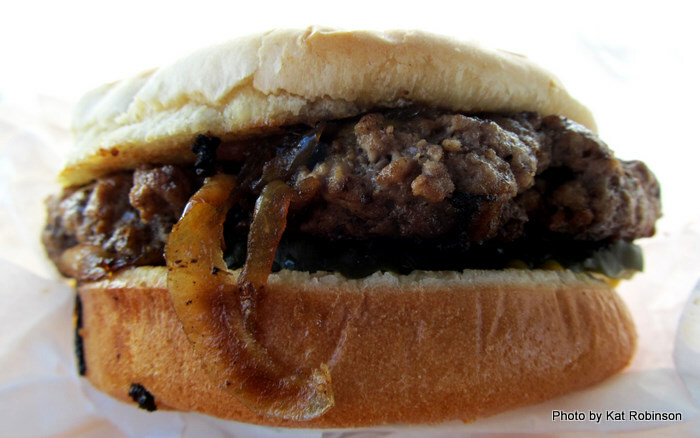 The Jamaican Jerk Burger is an experience in oral fire. 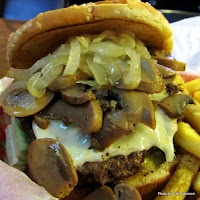 But the Mushroom Swiss Burger is simple magic, savory and salty in all the right ways. Get some of that famous cheese dip for your potato chips -- I think potato chips and even the fries are better with the dip than the traditional tortillas. 41. Bonnie’s. Such a humble home for such a classic burger. 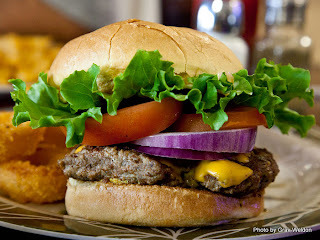 Bonnie’s serves up a traditional smashburger made in a skillet on a stove in the back, serves up your iced tea in a Mason jar and always has a great dessert available each day. Shame you have to drive all the way to Watson to get it! 40. Cheers in the Heights. The Old Fashioned Cheeseburger is a great lean-meat burger served up on a yeasty Kaiser roll with vegetation and mustard. Get yours with fries and don’t skip dessert. 39. Front Porch Family Diner. 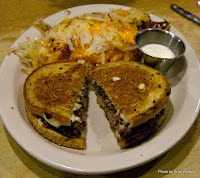 The $7 burger comes with American cheese atop the peppered grilled patty, with a strong smattering of grilled but still slightly crunchy onions on the bottom of the sourdough bun. 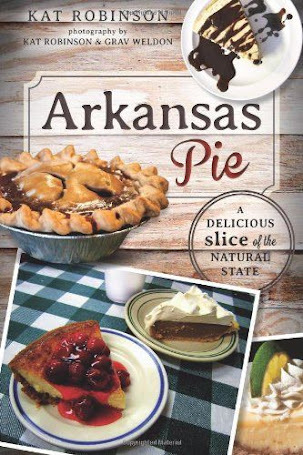 Get some Awesome Possum Pie while you are it. 38. Buffalo Grill. The mustard-slathered classic comes tall on a seeded bun with shredded iceberg lettuce, tomato and onion with the pickle spear on the side, a lightly charred medium-packed salt-and-pepper patty with the cheese cooked right in. Cheddar’s good -- hot cheese even better and for a real treat get some cheese dip to dip the whole mess in. 37. 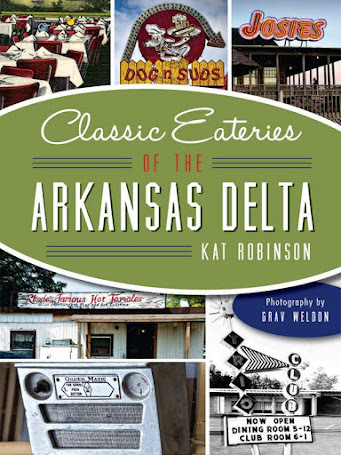 Morrilton Drive-Inn Restaurant. The I-40 family place is known for a gigantically massive Super Double Cheeseburger that weighs in at more than two pounds. 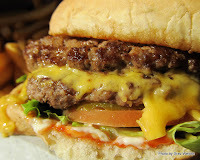 Yet I found I far better enjoyed the simple regular cheeseburger… a buttery, salty, cheese-glued mess that’s even better if you allow it to steam itself in its wrapper a few minutes. 36. Bulldog Restaurant. Square rolled onion and garlic studded salt and peppered patties make for a signature flavor worthy of the nation’s great longstanding burger chains -- but it’s done so much better at this Bald Knob family restaurant. Get a double, share it and split some strawberry shortcake while you’re at it. 35. Razorback Ribs. 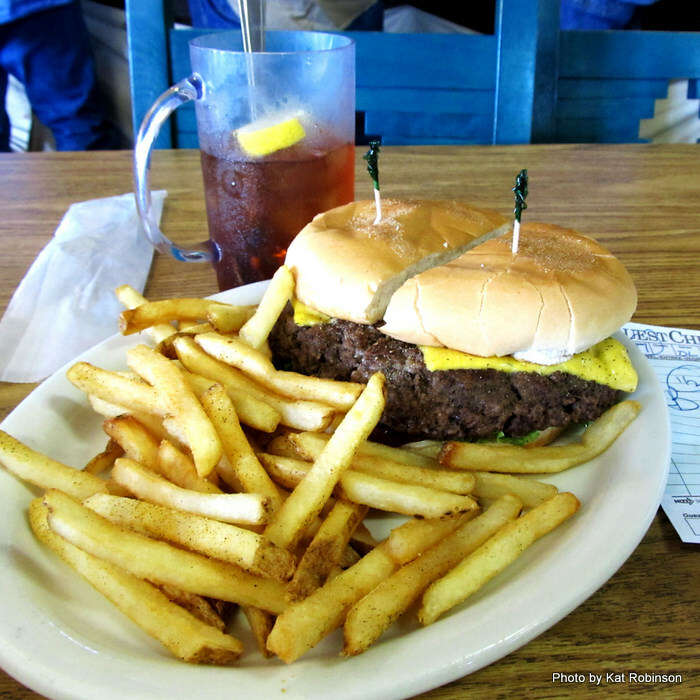 Known best for its ribs and for something called the Slop Bucket (I am not kidding here), this little place in Yellville serves up the Ernie Burger, a third of a pound of Black Angus that’s picked up a lot of the flavor from the smokehouse. Get yours with some waffle fries and fried mushrooms, and skip the Personal Fowl (I kid you not, also on the menu). 34. Herman’s Ribhouse. A nicely turned slightly smoke-enhanced onion-tinted griddle-fried chuck burger glued to the bottom bun with white American cheese, cooked perfectly to order. You’re going to get some salsa and crackers first and Tootsie Rolls are dessert -- and you may kick yourself for skipping the ribs. But that burger’s one of Fayetteville’s most noteworthy. 33. Burger Mama’s. The cheese is shredded, the bun is buttered, the burger is juicy and the onion rings are legendary at the little gray shack at Kanis and Shackleford. It’s all about excess here -- too much onion, too much lettuce and tomato, too much beef and too much to take in all at once. But damn, it’s mighty fine. 32. Benson’s Grill. The best patty melt I love -- indeed a burger in my opinion -- smacked down grilled onions right on the patty with Swiss cheese all assembled on the griddle and slapped on rye bread. I still gotta go back and have the Mount Kilimanjaro at this Fort Smith 24 hour diner sometime. 31. Greenhouse Grille. 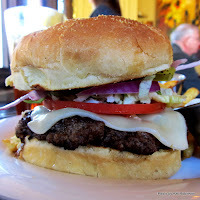 I felt I gave the Fayetteville restaurant short shrift when I wrote this October’s burger joint piece; I couldn’t quite share how good the whole restaurant was before my review posted in the Times, nor could I really reveal that the Bourbon Chocolate Chunk Pecan Pie was my favorite pie in the state. However, I can gladly say I’d order this locally farmed pasture raised beef delicacy again, either with the goat cheese and garlic aioli like I did before or more likely with the bleu cheese and sautéed organic Shiitake mushrooms I have yet to try. You MUST get the Shiitake fries… with Magic Catsup. They shouldn’t be optional, they are that good. 30. Salem Dairy Bar. The Jumbo Cheeseburger is drive-in divinity -- half a pound of smashed on the griddle salt and peppered beef with cheese melted directly onto the patty, served wrapped in wax paper with a toothpick. Hasn’t changed in decades. Worth driving beyond Benton for. 29. Hibernia Irish Tavern. If you can drag yourself away from the excellent Fish & Chips or the more impressive Oscar Wilde Mushrooms, you have to get this Build Your Own Burger, complete with choice of cheese and choice of six condiments. Choose the egg and you have a cholesterol bomb of terrorism available for your consumption. 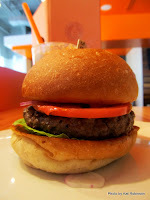 I suspect the strongly flavored burger owes its taste to some classic British HP sauce, but I could be mistaken. The closest thing to a neighborhood bar for my crowd. 28. 302 on the Square. What do you mean, you baked the burger? That’s exactly the case at the Berryville restaurant, which doesn’t actually own a griddle, get that? 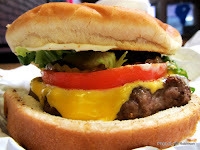 Doesn’t matter -- Will’s Monster Burger is a Cavendar’s-type spiced burger with two patties served tall and proud with Cheddar cheese on a seeded bun. Tastes like a freaking steak. 27. Dairyette. 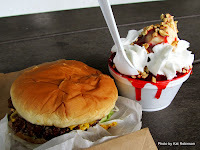 Salty and buttery, the smashed patty comes on a classic drive-in bun with the traditional toppings. Get a cherry shake while you’re in Mt. Ida, and don’t stress if the dining rooms are full -- there’s window service, too. 26. Hamburger Station. 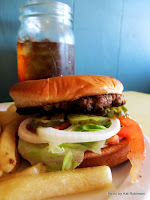 Paragould’s answer to “where do you get a burger around here?” -- the Humburger is still just as good as it was 15, 20 years ago, the loosely packed onion grilled burger comes either with or without cheese drapped over the patty, never drained, just plopped onto a mustard-smeared bun with pickles and wrapped tight. Don’t forget a napkin. 25. Crazee’s Cool Café. The caramelized onion flavor manages to poke through even on the massively topped Mushroom Burger, with its mess of sautéed button mushrooms, grilled onions and Swiss cheese on a toasted bun. Plus, more fries than one person should reasonably be able to consume in a sitting. 24. Back Forty. A mean burger seared over an open flame, the Barnbuster is a cooked-to-order char-grilled classic served up on a seeded bun with attitude. This Mountain Home hangout should be your North Central Arkansas burger destination. 23. Myer’s Cruizzers. 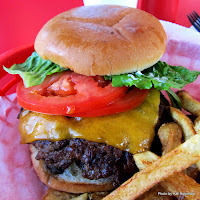 The quintessential American drive-in burger, the double is two smashed flat patties of American cheese-glued goodness on a buttered bun, meant to be eaten out of a foil wrapper. Every burger at this Mena hotspot comes with a mint-tagged toothpick to hold it together. Miss the shake with his burger and you are making a huge mistake. 22. The House. 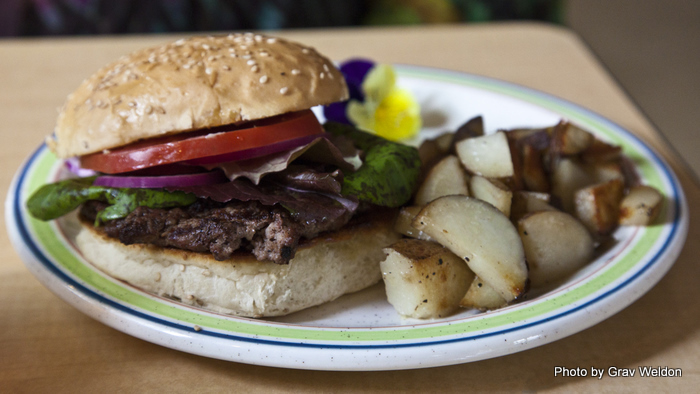 The Great American Burger is a Wynn Farms beef patty on a Boulevard Bread Company bun with herbed butter and fresh produce. Choose the Chevre cheese for a fantastic experience. You can get a salad with that, too, which fits in well with the ultra cool surroundings of the best burger place in Hillcrest. 21. Frostop. The Big Daddy Burger is the sort of burger meant for sharing; it’s the largest smashburger patty I’ve encountered, hands down. 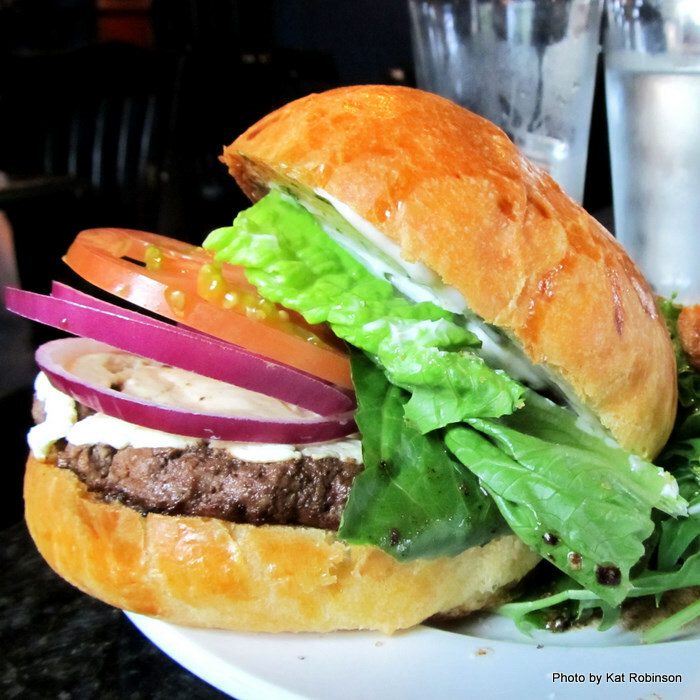 The Greek seasoned patty is sandwiched onto a large buttered sesame seeded bun with shredded lettuce, tomato, pickle and onion. 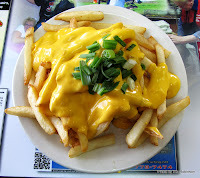 Pony up the 75 cents for cheese and enjoy some fries. And of course, the root beer. 20. Sushi Café. A sushi bar that does burgers? Really? Yah really. And oh so well. The triple-patty Titanic Burger with its caramelized onions, layers of Swiss cheese and field greens is far too good to be relegated to the “other” menu… and tempura battered sweet potato fries should be the new norm for all sweet potato fries ever served from here on out. Great with a little soy sauce. 19. Sparky’s Roadhouse. 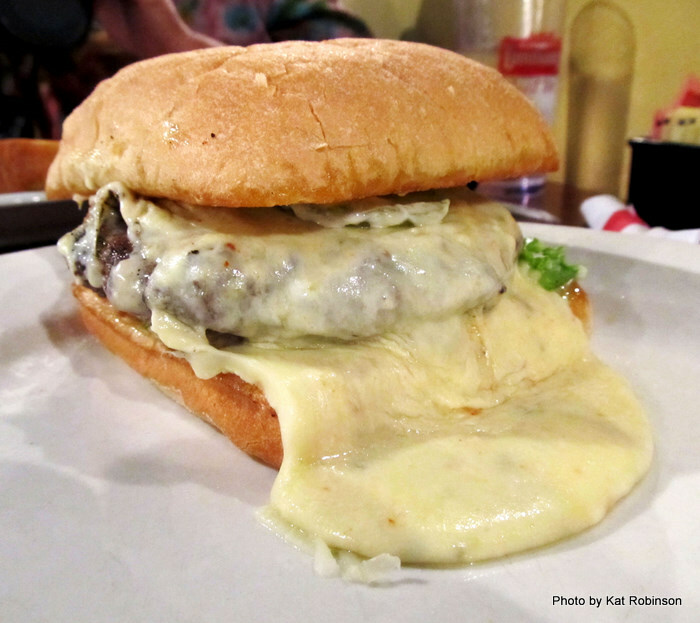 Want your burger covered in fancy French cheese? Don’t worry about dressing up and heading for a fancy restaurant. 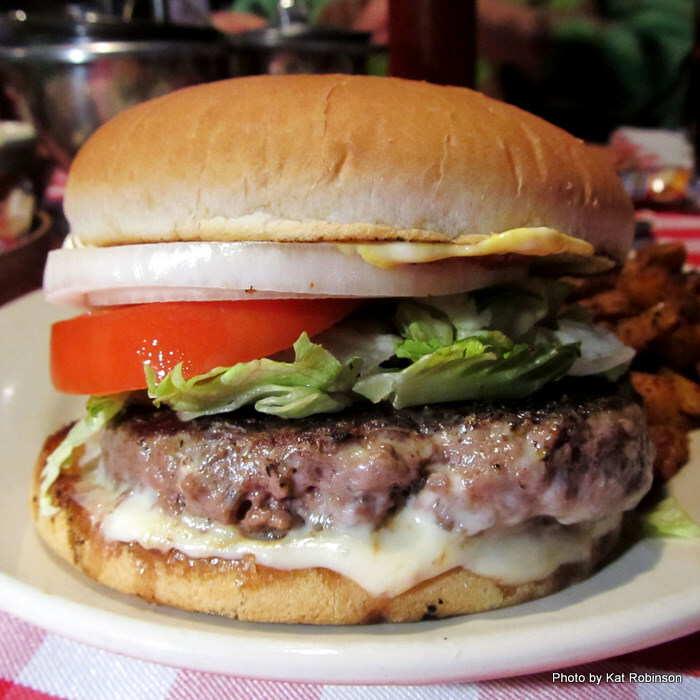 Head to the place that’s the Eureka Springs equivalent of Cheers (the TV show bar, obviously) and get one of the dozen burgers on the menu. Have some cheese dip and a chocolate truffle while you’re at it, and don’t skip a good brew; the place is proud of its 99 available beers. 18. Town Pump. Black olives? On a burger? Indeed, they are what makes the Pump Burger at the Town Pump in Little Rock that extra bit of special -- saltier, more savory and definitely memorable. 17. Boardwalk Café. 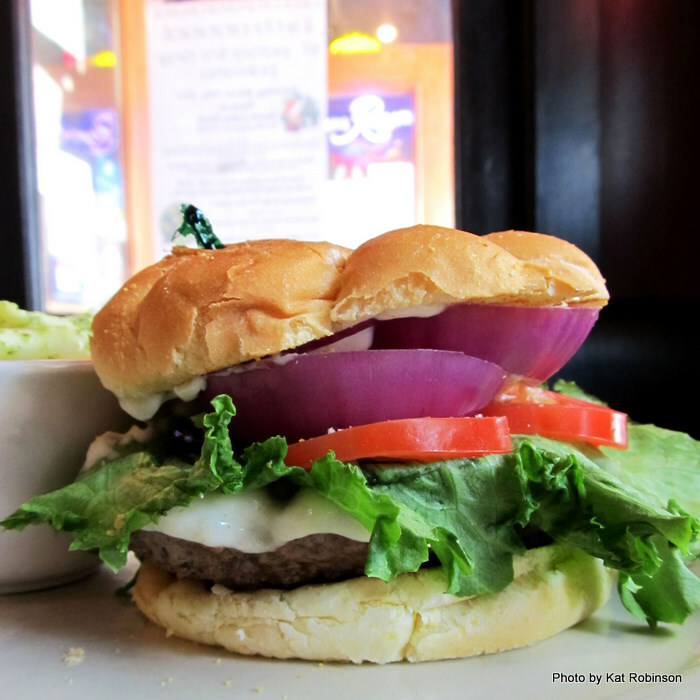 The only buffalo burger on the list, this fresh burger is created from ingredients all within 100 miles of Jasper -- from the bun made near Fayetteville to the tomatoes and lettuce grown in Newton County to the Ratchford Farm buffalo (beef is also available). Comes with pan fried potatoes spiced with herbs right out of the Morgans’ garden. 16. Pig N’ Chik. No matter how you spell the name of the Sherwood restaurant, its eight ounce Hubcap Burger is a winner -- smoky, salt and peppered and served up with pencil-thin fries. I’d suggest wiping a little of that hickory flavored barbecue sauce on the table right on the meat. 15. Viola Stampede. Did you miss it? You wouldn’t be the first person to speed past the unassuming little building on Highway 62. 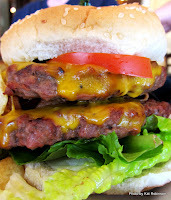 Inside, great burgers can be found, including the Double, two thick patties of ground beef sandwiched between seedless buns, glued together with American cheese, mayo on the bottom, mustard on the top and vegetation in-between. 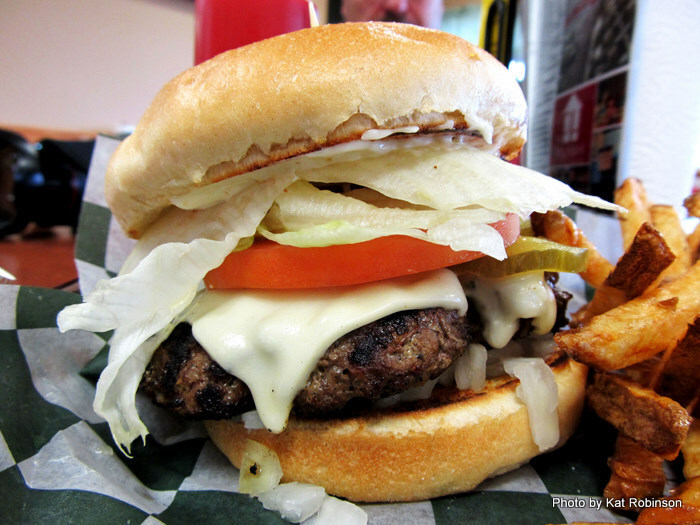 Could be one of the best unheralded burgers of our state. 14. Reno’s Argenta Café. 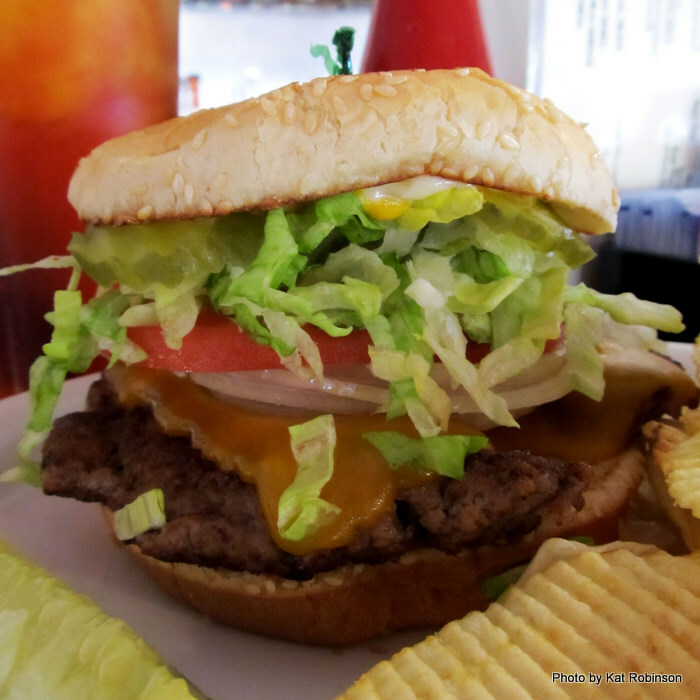 Tiny bits of onion and black pepper in the patty, big hunk of tomato, fresh lettuce, even fresher onion -- this burger should be the pride of North Little Rock. Underrated and memorable, get yours with some pasta salad. 13. Hamburger Barn. 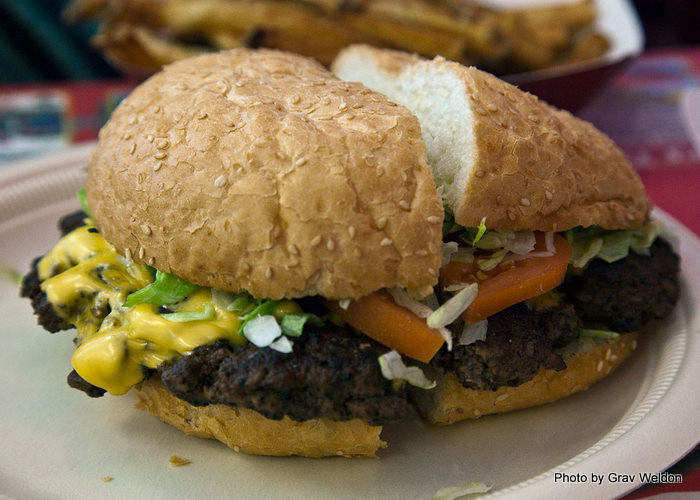 The closest thing you’ll get to a burger cooked on a backyard grill, the Bubba Burger is a half pound, two fisted Angus beef char-grilled wonder served up with your choice of cheese on a seedless bun. 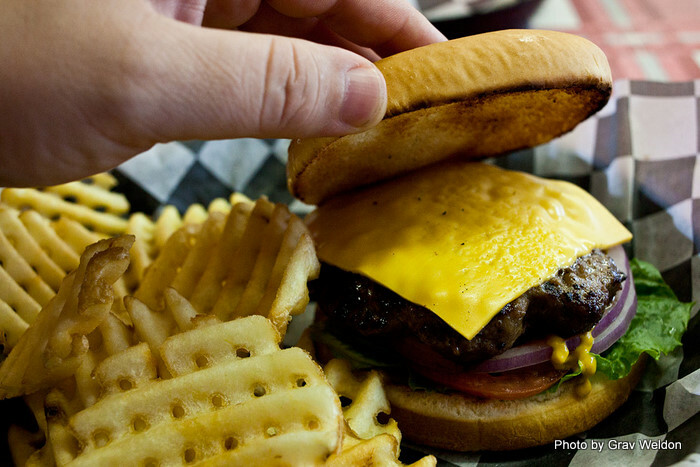 Get the half-and-half fries and onion rings on the side when you order at this Arkadelphia mainstay. 12. Hunka Pie. Chris Monroe does a good burger, whether it’s the Asian Turkey Burger or just a Hunka Burger -- but my favorite has turned out to be the Bombay Burger, a big fresh ground patty of beef mixed with a garam masala flavor and served up with a side of cilantro mint chutney on a Boulevard Bread Company bun. Yeah, buddy! I just hope it’s just as good at the new North Little Rock location. 11. Wimpy’s. The second Wimpy’s set up shop in Conway this year (the first is in Southaven, MS). 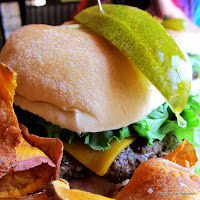 This place brings the idea of challenge burger to the table. The French onion-flavored patties come with a dozen different choices of toppings. I loved the grilled onions and mushrooms, but man, wrap that aluminum foil tight! Get a raspberry shake while you’re at it -- and if you’re in Joneboro, you got one opening up there, too. 10. 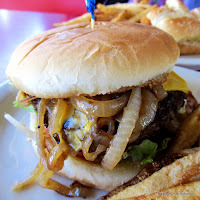 Arkansas Burger Company. 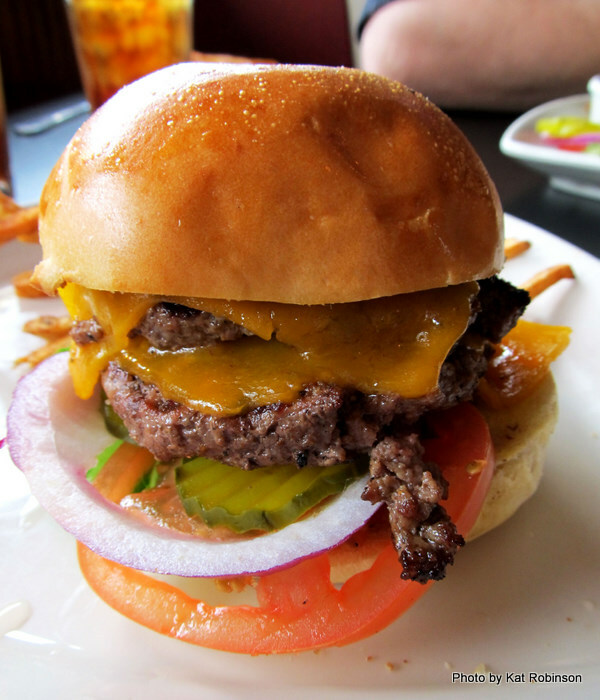 The Rock just might be the best tall burger in the state -- it‘s certainly the best tall burger I encountered in Little Rock this year. Two half pound loose packed Greek seasoned patties covered in American cheese with all the fixings makes for a two-fisted wonder that’s so good you don’t even need condiments. Get some cheese dip while you’re at it. 9. Cotham’s Merchantile. All that hype… well, it’s worth the drive to Scott. The famed one pound Hubcap Burger draws thousands in from all over, and there’s a good reason for that. The Cothams have this special spice that’s better than even Cavendar’s for flavoring a burger, and they’re not shy about it. Next time I go, though, I won’t make the mistake of turning away some onion rings. 8. Johnny B’s Grill. If you want to get right down to it, it’s the sweet Texas Gold onions that set this smashburger apart from the rest. It’s half a pound of griddle-fried goodness on a seedless bun. Gotta try one when you’re in El Dorado. 7. Midtown Billiards. I’m a convert. 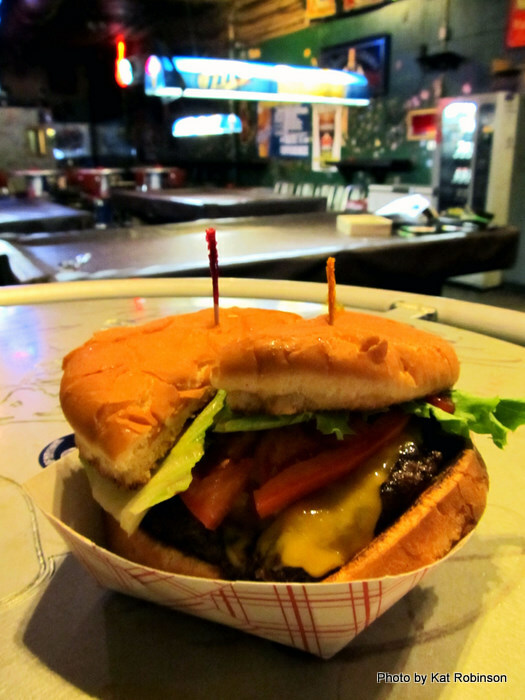 If you dare to venture into this downtown Little Rock dive at 4 a.m., you’ll be able to enjoy one of the best smashburgers I’ve ever encountered. Fortunately for day dwellers, Midtown’s open at 4 p.m., too. 6. 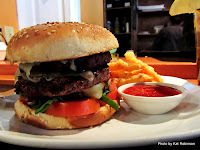 David’s Butcher Boy Burgers. The family that started CJ’s Butcher Boy Burgers in Russellville a few years back have spread out with two David’s -- one that opened in Conway late last fall and one that opened at Bowman and Markham here in Little Rock this year. 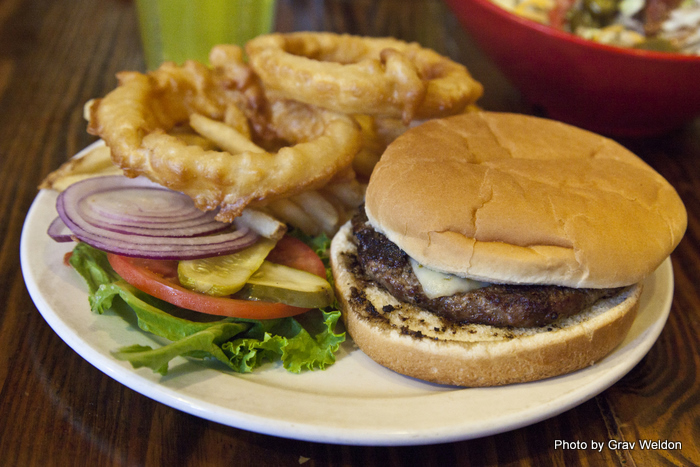 The principle -- burgers and fries made from scratch while you wait -- still holds true, and the burgers are tasty. 5. Feltner Brothers. Old Man Feltner would be proud. 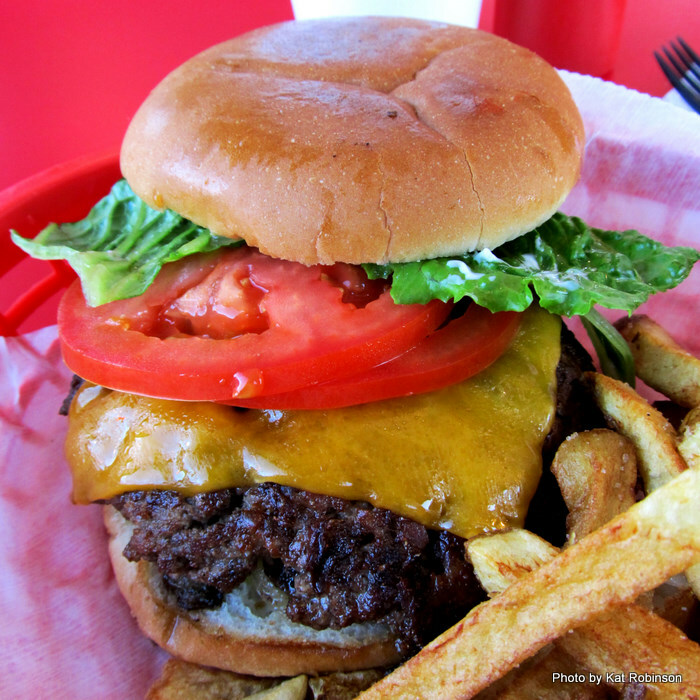 Three of his grandsons have opened up a pair of great burger restaurants in Fayetteville that, I swear, serves up the EXACT SAME BURGER I became enamored with in my college days. Even Feltner’s Whatta-Burger in Russellville, the origins of said burger, can’t come closer. 4. Root Café. Combine fresh small farm locally pastured beef, a little salt and pepper, fresh local tomatoes and greens, Honeysuckle Lane Cheddar cheese, a Boulevard Bread Company bun and house mayo, and you get the freshest burger in Central Arkansas. It doesn’t hurt that this burger comes standard with a seasonal salad; still, order yourself some skillet fries to go along with it. 3. 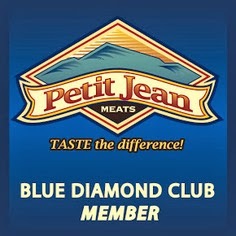 JP’s Restaurant and Gathering Place. The great bar and grill on the first floor of Harrison’s 1929 Hotel Seville is the most happening place downtown. 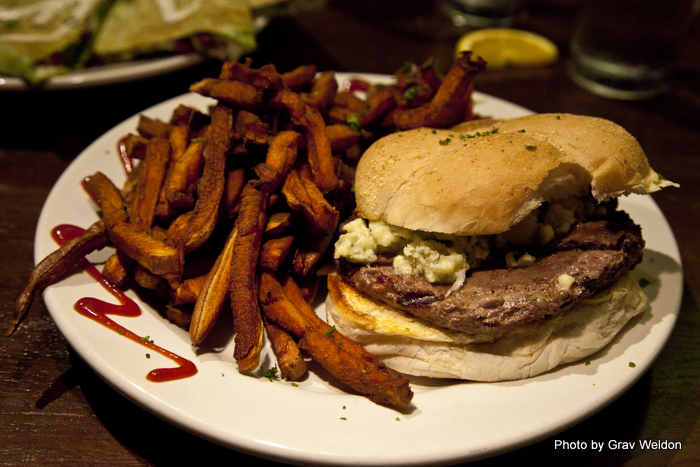 The John Paul is a great hand patted burger cooked to order served up on a toasted buttered bun with a choice of fries or those amazingly decadent sweet potato chips. 2. Big Orange. The Za Za guys came up with another big winner this year, the newly opened Big Orange at the Promenade on Chenal. It quickly became one of the hottest restaurants in town, with lunchtime wait’s the norm. 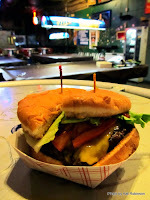 John Beachboard and Scott McGehee keep upping the ante, too -- with new great burgers offered every single time I go. Still, my favorite is the first burger I ever tried there, the Maytag Blue with its sharp cheese, sweet and tangy pepper jelly and fresh Creekstone beef cooked to order. 1. Capital Bar and Grill. 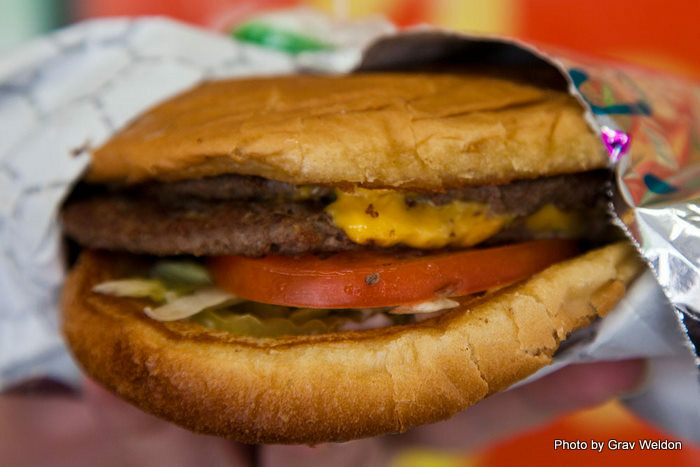 I have literally spent an entire year trying to find a better burger. A few have come close, but there’s still nothing quite like the fresh ground sirloin, the housemade pickles and the pimento cheese on top for this remarkable burger. This is the burger to beat in the state of Arkansas. Will anyone top it this coming year? We’ll just have to wait and see. CLEARLY you did not stop at CJ's in Russellville. For, if you had, you would have listed it in the top ten...perhaps the top 5. That's one of THE best burgers in the state. 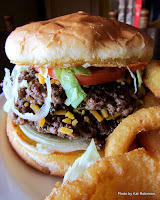 I have been to CJ's and enjoyed it extensively. 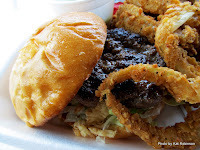 You should try out the burger at the Argenta Market in North Little Rock. It is really good. 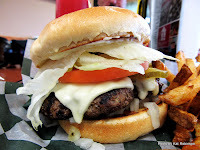 Surprisingly I tried the Pizza D's burger not to long ago and it was great, thick, juicy, and not overcooked, better than the pump, but not surpassing the number 1 and 2 on your list. 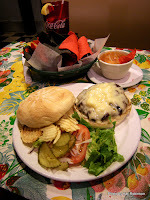 You should try Hugo's and Patrick's in Fayetteville and Springdale. Although the beef at Davids Butcher Boy burgers on Bowman is very good, particularly accompanied with the grilled mushrooms, the flavor is ruined by the overpowering excessive and crummy mustard that the kiddies plop all over the lettuce leaves. Their wonderful fries are unfortunately ruined by the kids going nuts with the salt shaker. Salt and mustard are ok in moderation, but the teenie boppers preparing the food don't seem to realize that a little goes a long ways. 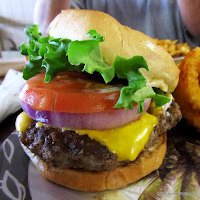 Sadly, I must give David's Butcher Boy hamburgers a thumbs down. I was pretty surprised that Feltner's ranked above Butcher Boy. When I moved to Russellville I was told how wonderful Whattaburger was, but have tried it at least 3 times and have not been impressed. 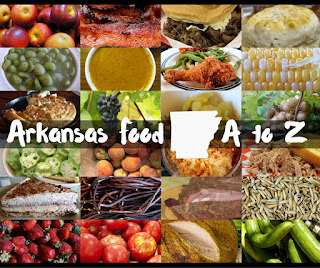 It tastes like frozen, reheated food and the people at the restaurant (in Russellville) are never friendly and it's a generally awkward experience. CJ's Butcher Boy burgers (and fries), however, are always delicious and fresh-tasting. I'm only judging according to the restaurants in Russellville, but CJ's wins hands down every time for me. 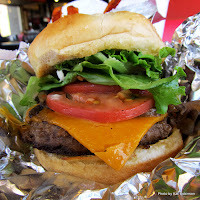 Feltner's Whatta-Burger in Russellville and Feltner Brothers in Fayetteville are not the same restaurant. The Feltner brothers are the grandsons of Bob Feltner who started the Whatta-Burger. That is the only way the two restaurants are related...merely by last name. Just wanted to clear things up. Go check it out for yourself, and you'll see why Kat's put 'em in the top 5! Oh my god, I'm sharing this list with everyone. My wife and I flip-flop between Big Orange, Hunka Pie and The Root for our favorites, but I haven't yet had the Capitol burger. Damn. I might need to go get one, like, right now. I do not live in Arkansas. 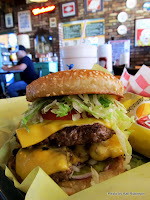 The name of the town the burger place is in would help me try a burger while visiting in your great state.